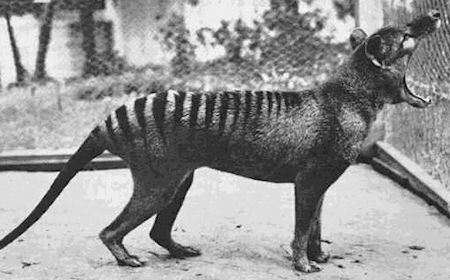 The thylacine, more popularly known as the Tasmanian tiger, was an apex predator in Australia and Tasmania before its extinction in the early 20th century. The last known specimen died in Hobart Zoo during the night of 7th September, 1936. It was the last extant member of its family.